Elaine Hancock (Olney, United States) on 24 November 2017 in Art & Design. Taken at the University of the District of Columbia, Washington, DC. Well, that should stop folks parking there ! I'm glad there are people in this picture. At first I thought the spheres were much smaller. 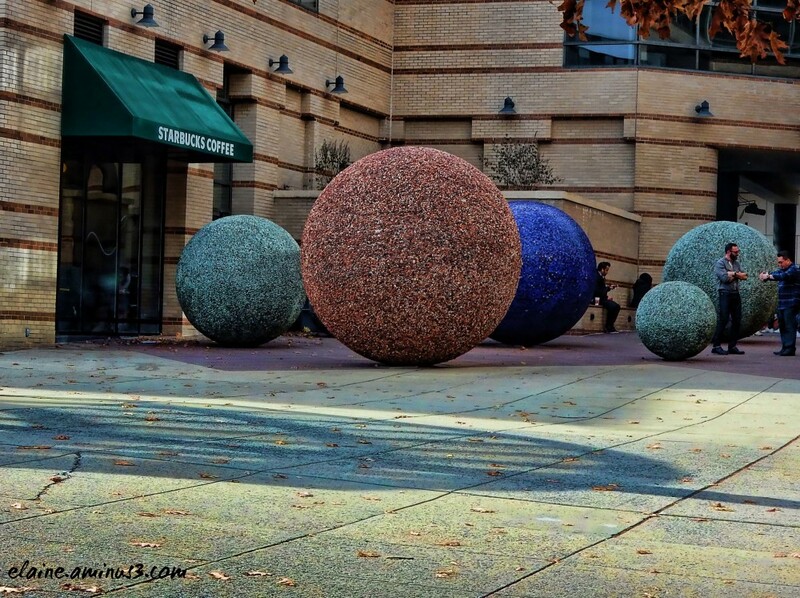 A fne street shot of these unsual spheres. Superb capture and colors . Let me into that Starbucks spheres or no spheres! ;-) This is a really cool find.